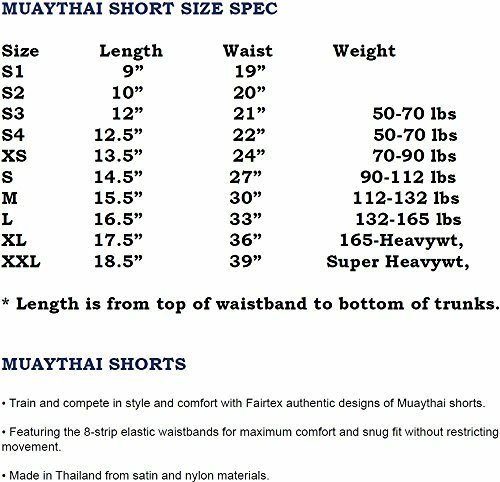 Fairtex Muay Thai Shorts are the traditional Muay Thai cut, allowing movement with minimum restriction. FREE SHIPPING UPGRADE. 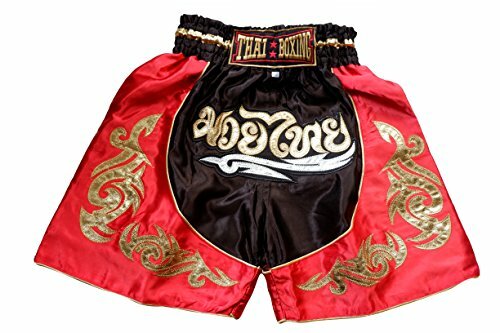 Boxing shorts ship expedited with standard shipping cost. Transit time is generally 2-6 business days. Service center for return or exchange is in the U.S. US Sizes: A wide range of sizes (2-10 years old), you will always find the right size for your child. The interior drawstring allows an adjustable waistband to suit your needs. 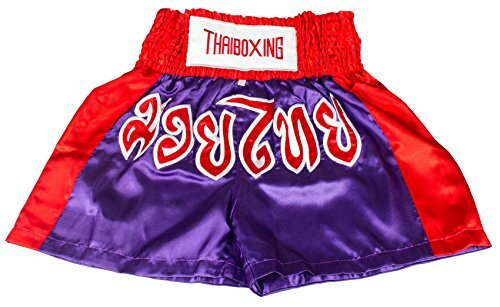 Premium Thai Quality: Made exclusively in Thailand, these children's Thai boxing shorts boast all the Thai know-how, their soft and satiny material avoids itching and all forms of irritations. Their reinforced seams and strong, durable elastics guarantee a comfortable and durable fit. 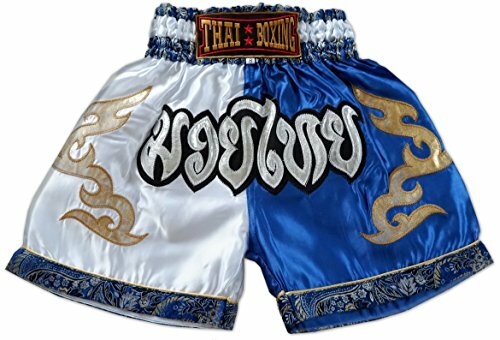 Improved mobility: Their lateral openings allow for a greater freedom of movement and more comfort while practicing Thai boxing. 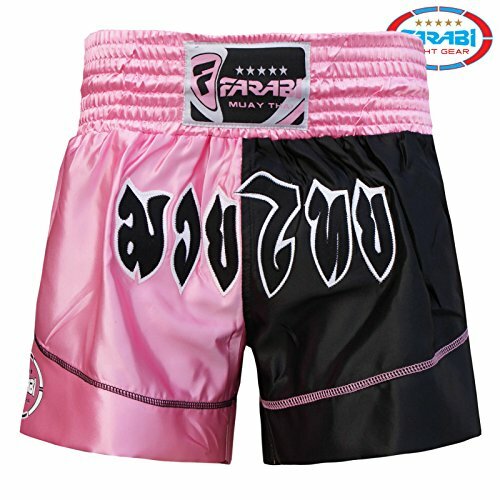 This is a Brand New Extreme MMA Fight Shorts, The Professional MMA Fighter's Shorts are designed and cut to suit MMA, Kickboxing, MuayThai and Boxing. A new back-panel design. Made from the polyester and mechanical multi-directional stretchable fabric, this extra flexibility allows for better unrestricted movement, and the shorts won't bind to your legs. Touch and durable, in a modern contrast design. They are comfortable, very stylish and durable. Specially constructed elasticized polyester and rugged cotton offers stability and support to the ankle during combat training and competition. Ideal support when performing those intensive training sessions. These are a must when training or competing. 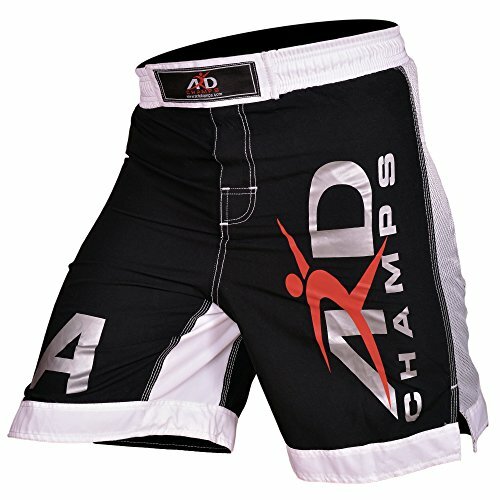 Constructed from polyester and stretchable fabric, Professional quality and ultra successful shorts. Multiple flex panels for excellent mobility, Panel in thigh, helps keeping opponent from escaping. Split seam for superior flexibility, Innovative tie system with improved Velcro closure. T3 stitching seams withstand the most extreme amount force. 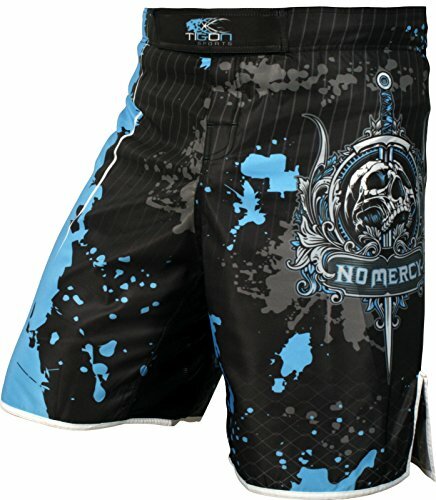 Internal pocket in side the shorts, which is ideal for gum shield. 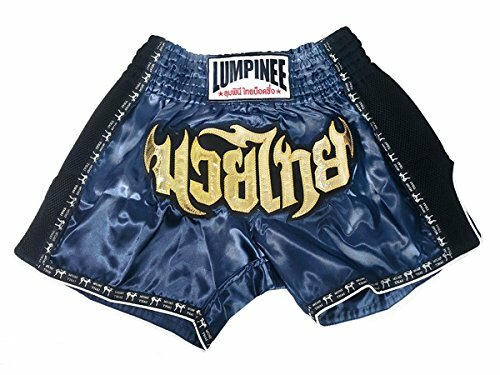 BS0601 Fairtex Black Laced Sides Muay Thai Shorts are 100% Satin handmade in Thailand and offer a modern take on the standard designs for Thai boxing. 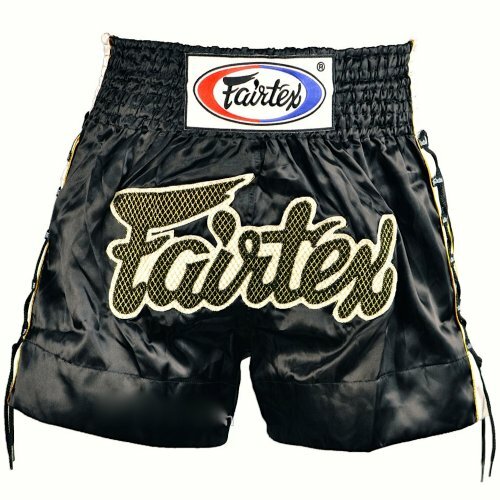 With the famous Fairtex logo across the front of the garment; deep waistband and typically excellent quality. 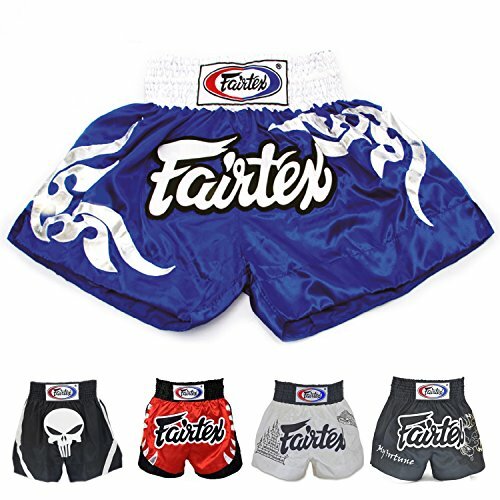 Fairtex have been producing Muay Thai equipment since 1993 and are well known in the sport as a brand who put development and style at the forefront of their products. 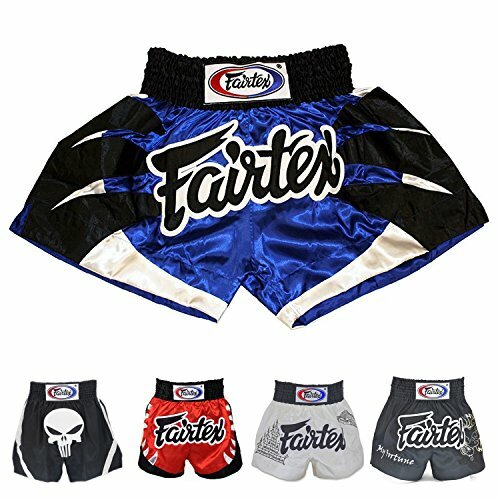 Extra Wide legs for unrestricted kicking 100% polyester Satin Ideal for competition, sparring or training Draw cord Fairtex Logo to front. 8-Strip Elastic Waistband w/ Drawstring for Snug Fit. Made with Extra Wide Legroom for Better Movement when Kicking or Kneeing during training or competing. I STRIVE TO DELIVER 5-STAR CUSTOMER SERVICE AND OFFER A 60 DAY NO HASSLE REFUND POLICY. PERSONAL SATISFACTION IS GUARANTEED. Perfect for training and Sparring. 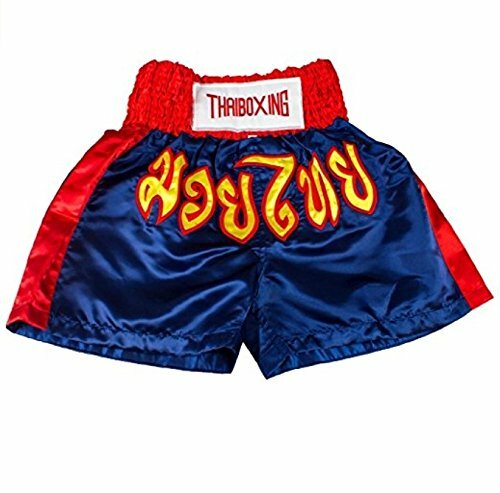 The Thai writing on the Shorts translates to " Muay Thai "